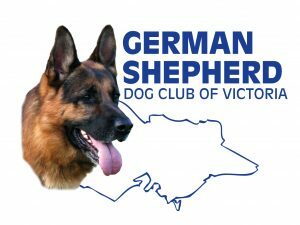 The German Shepherd Dog Club of Victoria Inc. (GSDCV) is a non-profit organisation, and the official custodian of the breed in Victoria and is dedicated to the improvement, promotion and protection of the German Shepherd Dog. The club encourages fellowship and strives to assist in the education of its members, and the public, to a better understanding of the breed, responsible breeding practices, and responsible dog ownership. The GSDCV is the largest single breed club in Australia today, with a membership in excess of 2,200 and has a long and strong history of which we are justly proud. In 1929 the Alsatian Club of Victoria was founded, and in 1945 when the name of the breed was officially recognised in Australia, from Alsatian to the German Shepherd Dog, the GSDCV was formed. Today we boast a total of 11 branches serving metropolitan Melbourne and regional Victoria. The German Shepherd Dog is a large, active and very intelligent breed which thrives on companionship. It is essential therefore that all prospective owners are prepared to cater for the dog’s need for exercise, attention and mental activity. The German Shepherd Dog is known throughout the world for his loyalty, trustworthiness, intelligence, courage and a calm and good-natured temperament. These qualities make him ideally suited to training, plus a wonderful friend and companion. The aim of this website is to provide information and general understanding of the breed to the public, intending purchasers and present owners of the German Shepherd Dog. We trust you will find the information contained on this site both interesting and informative. We provide a puppy listing service of available litters for those interested in buying a puppy. We also manage a Rehoming Program, which is a referral service for anyone wanting to rehome their dog or those wishing to give an older dog a second chance. All the fine detail about our club is available in our constitution. The GSDCV is affiliated with the German Shepherd Dog Council of Australia (GSDCA).